Increases in drug plan insurance coming for seniors. With time running out on open enrollment season, many seniors are facing sharply higher premiums for Medicare’s popular prescription drug program. The reason: rising drug costs have overtaken a long stretch of stable premiums. Beneficiaries have until Dec. 7 to see if there’s a lower-cost plan that will cover their medications in 2016. Consumer advocates and experts say it will pay to shop around this sign-up season. Government spending on the program also has risen significantly, driven by pricey new drugs, notably for hepatitis C infection. The cost for the hepatitis drugs in the Medicare program is expected to be $9.2 billion this year, nearly doubling from 2014. 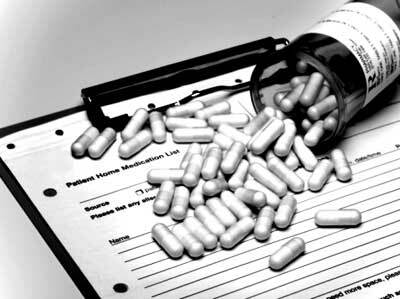 Because of the prescription program’s financial structure, taxpayers cover most of the cost for expensive medications. Three out of four adults infected with hepatitis C are baby boomers, the group now entering Medicare. Also known as “Part D,” Medicare’s prescription plan serves about 40 million older and disabled people. Benefits are provided through a variety of insurance arrangements. Stand-alone drug plans that work with traditional Medicare are the most popular, accounting for more than half of beneficiaries — about 24 million people. Sal Natale, a retired dentist who lives near Tampa, Florida, said prescription premiums for him and his wife are going up about 30 percent next year, and he doesn’t see a good alternative. “I’m just going to grin and bear and hope it starts moderating,” Natale said. The couple is signed up in the Humana Enhanced plan, one of the top 10. Nationally, premiums for that plan are going up by about $13 a month, according to the Kaiser foundation. —independent estimates by Kaiser and the consulting firm Avalere Health show increasing premiums for stand-alone drug plans. The average premium will rise from $36.68 to $41.46 per month next year, or 13 percent, according to Kaiser. Even if many beneficiaries switch to lower-cost options, it’s likely to be the biggest increase since 2009. —the maximum deductible for prescription coverage will rise by $40, to $360. That’s the biggest increase in the deductible since the inception of Part D in 2006. The deductible is the amount of drug costs that beneficiaries must pay each year before their insurance kicks in. —taxpayer expenditures for the “catastrophic” portion of the benefit — in which beneficiaries with high drug bills pay only 5 percent of the cost — will rise by $4.5 billion in 2016, an increase of more than 14 percent. Spending for catastrophic coverage has doubled in just a short time, from $15.5 billion in 2012 to an estimated $31.2 billion this year. The analyses from Kaiser and Avalere are seemingly at odds with the message coming from the Obama administration, which estimates that drug premiums will remain stable in 2016, averaging $32.50 a month. But the administration and the independent analysts measure differently. For example, the administration adjusts its number for the estimated impact of people assumed to be switching to lower-premium plans. The outside analysts don’t make similar assumptions. Instead, they focus on what’s happening to premiums in the plans for which people are currently signed up. Nationally, average premiums are going up by more than 15 percent in five of the top eight plans, according to the Kaiser study. Two plans will see single-digit increases. One plan — SilverScript Choice — will see a small reduction. The most popular plan — AARP MedicareRx Preferred — will go up from $50.19 to $60.79, a 21 percent increase. Sean Cavanaugh, deputy administrator at the Centers for Medicare and Medicaid Services, said the administration has a good track record with its estimates. “We do think ours is more illustrative of what beneficiaries actually experience,” he said. Cavanaugh did say the administration is concerned about the cost of new breakthrough drugs. The insurers who deliver Medicare’s prescription benefit have limited options for bargaining down the prices of those medications, because usually there’s no competing alternative. With polls showing that drug costs are the top health care issue for the public, presidential candidates are weighing in. Options they propose range from giving Medicare direct authority to negotiate drug prices, backed by Democrat Hillary Rodham Clinton, to speeding up approval of new drugs, advanced by Republican Jeb Bush. Consumer advocates are skeptical that seniors shopping for better deals will be sufficient to blunt the cost increases. Finding a new plan can be overwhelming, said Bonnie Burns, a longtime Medicare counselor with nonprofit California Health Advocates. “People can’t deal with the complexity of deductibles, coverage tiers, and prior approval,” she said. Natale, the Florida retiree, says he’s not sure what the right answer is. He’s wary of government controls on private industry, but the relentless growth of costs worries him. “I really don’t think I have much of an option for protecting me and my wife if I get some serious illness and I need big-time drugs,” he said. Someone had better stop the high cost of medications, Medicare costs my wife and I $14000.00 this year and then the medication went from $5000.00 to $24000.00 for next year. I found a lower part D for 2016 so Medicare will just cost us $14000.00 next year. Do not get ill and have a few dollars in the bank or you will loose it all!